Training camp for the Toronto Maple Leafs begins in a little less than a month. While the defense seems to have a set top-six, there is the potential that someone from the Toronto Marlies could earn a spot in training camp. Here are the eight top defensemen in the Leafs organization. The Maple Leafs are still waiting for Gardiner to have a true breakout season. They know he has offensive talent. What they need to see is him improve that game, notably his defense, and it really needs to take a step forward. This season, Gardiner could either be paired with Dion Phaneuf or Stephane Robidas. As the Leafs most likely want to lower the ice time of Phaneuf, placing him with Gardiner might be counter-productive. If Robidas can avoid injuries, his experience would benefit Gardiner. If he doesn’t improve, the Leafs might then try to trade him to a team that still sees potential in him. The new addition to the Maple Leafs defense group, Hunwick was one of only two incoming free agents to receive a two-year deal. 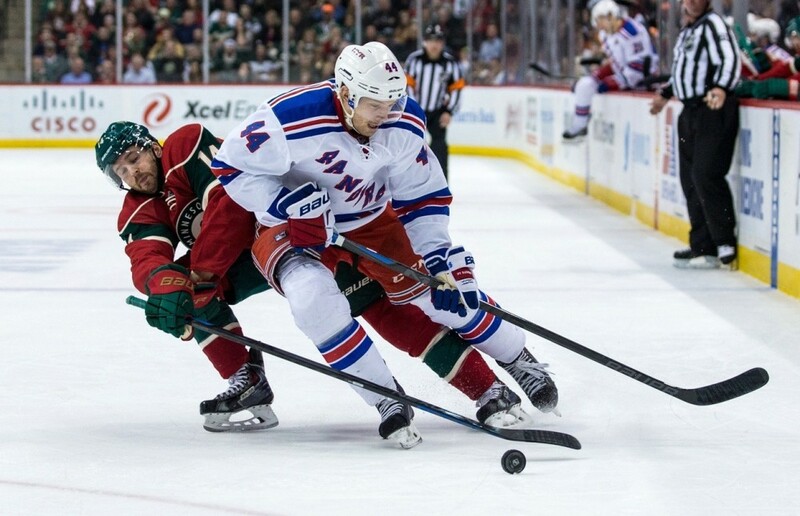 He has played in seven seasons, split between the Boston Bruins, Colorado Avalanche and New York Rangers. A depth defenseman at best, his best season was his second in the NHL. He registered 11 points in 55 games with the Rangers last season. We all expected Phaneuf to be traded this offseason. However, he remains a component of the Maple Leafs roster. As said earlier, Phaneuf will more than likely be playing a reduced role in Toronto in order to take some of the spotlight off the captain. He is one of the Leafs that really need to improve under new coach Mike Babcock. If he does, one of two things could happen: he could stick around and mentor the Leafs’ young defensemen, or he could be traded to a team that is willing to take on the rest of his contract. If there is any defenseman that is pretty much assured to be traded this season, it’s Polak. The regular defense partner of Morgan Rielly last season, Polak is the defensive-minded defenseman that playoff teams are looking to acquire at the deadline. It was a shock to some that he wasn’t dealt at last season’s deadline. Until the deadline, Polak will most likely remain at Rielly’s side, staying close to home so that Rielly is free to play his game. 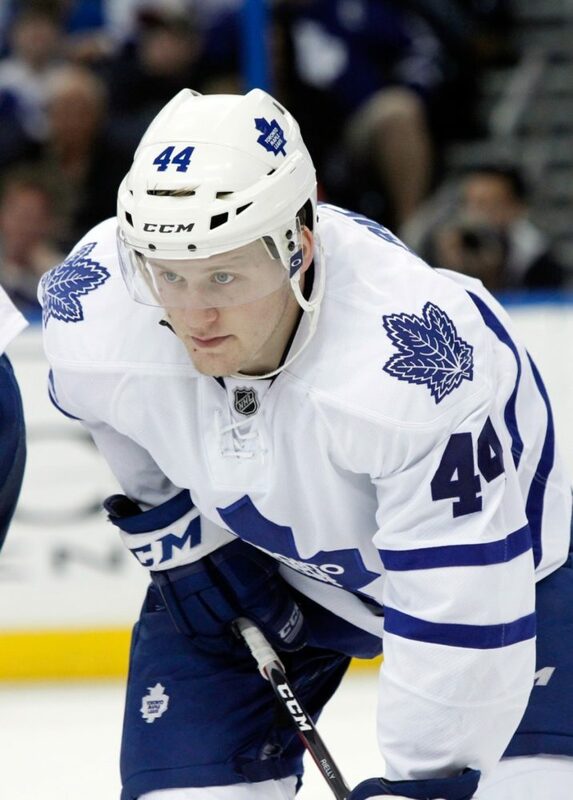 Rielly will take the big step forward this season and really become the Leafs top defenseman. Entering his third season with the Maple Leafs, Rielly is expected to continue getting better each season. The biggest piece of the Leafs rebuild currently on the team, he will eventually be the undeniable leader on the Leafs defense. Rielly has put out 27- and 29-point seasons in his two years with the Leafs and you can expect that number to jump ahead again this season. In a season that won’t be the easiest to watch, Reilly’s continued evolution will be one thing that will be looked upon closely. The first year of Robidas’ contract didn’t exactly go as planned, as he missed a total of 30 games. His days of being an effective point producer are long gone. 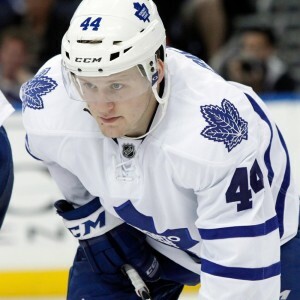 However, if he can avoid more injuries this season, his veteran experience will be valuable to Gardiner and Rielly. Now, should Robidas or any other defenseman get hurt, Brennan will more than likely be the first call-up to replace him if he’s not already with the team as a seventh defenseman. The Leafs re-acquired the 26-year-old defenseman last season from the Chicago Blackhawks and re-signed him in the offseason. Brennan played his first six games for the Leafs last season after not playing any with them in his first stint with the team. Can lightning strike twice in the same spot? Percy came out of nowhere in last year’s training camp to earn a spot on the Leafs roster. Unfortunately, he got hurt and was eventually sent back to the Marlies after playing only seven games with the Leafs. He played two more games later on in the season. Could Percy, Martin Marincin, Scott Harrington or any other young defensive prospect impress in training camp and make the team?